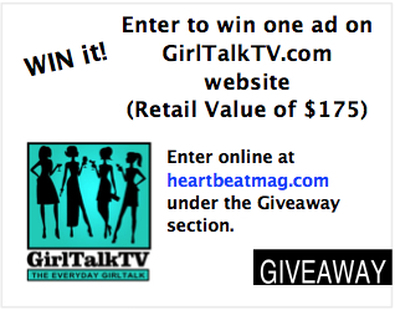 GirlTalkTV will be giving away one FREE Ad on their website. (Retail Value of $175) One lucky winner will be chosen to receive this giveaway. Visit our blog or Giveaway page to enter online! View the blog for more details soon.